Well, okay, your value may vary—you might prefer more stories told in Torchwood’s second season, with the full team. But hey, at least Big Finish’s new audio dramas are bringing back Torchwood in the time of the excellent miniseries Children of Earth! Not a mention of Miracle Day in sight. 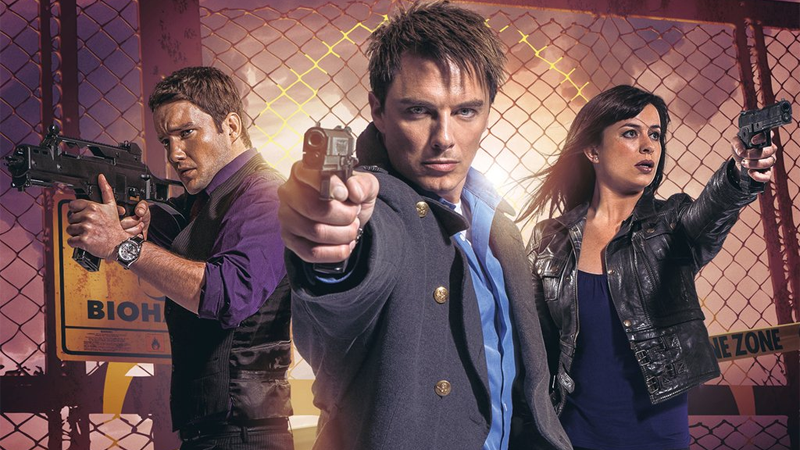 Big Finish’s first series of official Torchwood audio plays kept the characters largely separated, but a new miniseries arriving later this year will see John Barrowman, Eve Myles, and Gareth David-Lloyd reprise their roles as Jack Harkness, Gwen Cooper, and Ianto Jones together for the first time since Children of Earth’s release in 2009. The three-part series, written by Guy Adams, Emma Reeves and A.K. Benedict, is set before the events of Children of Earth, and will see Team Torchwood attempt to save Cardiff (home of everything exciting that has ever happened, according to the Torchwood universe) from the outbreak of a sinister virus. To celebrate the announcement, Barrowman and David-Lloyd staged a special photoshoot on Cardiff Bay, complete with a visit to the Bay’s infamous Ianto Shrine, erected by fans—and somehow still standing—in the wake of the character’s exit from the series seven years ago. Very cute. Torchwood: Outbreak will be available to purchase in November.